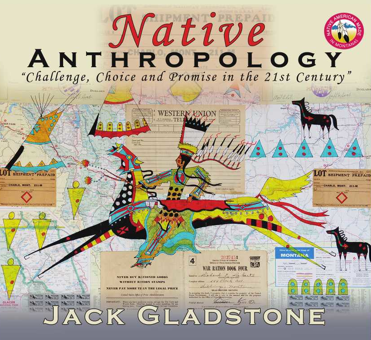 Jack Gladstone is a Native “PoetSinger” and lecturer from the Blackfeet Indian Nation of Montana. Regarded as a cultural bridge builder, he delivers programs nationally on American Indian myth, legend and history. He talked with Phil in the Sweetgrass Music studio “The Bin” at the completion of his most recent release Native Anthropology.